← This Friday Night at the Carnarvon Yacht Club! 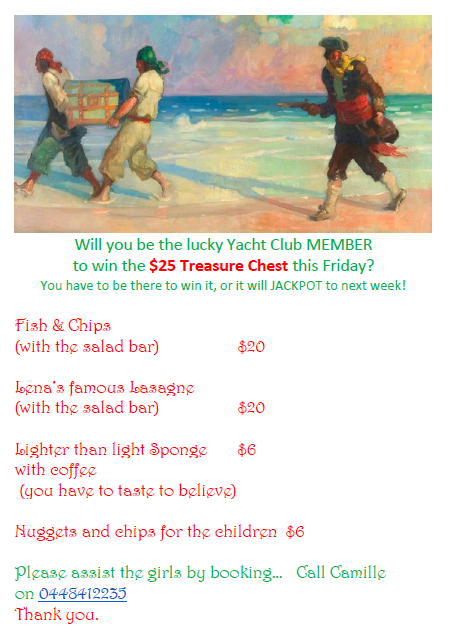 NEW at the Carnarvon Yacht Club – Weekly TREASURE CHEST! Jackpots by $25 per week!